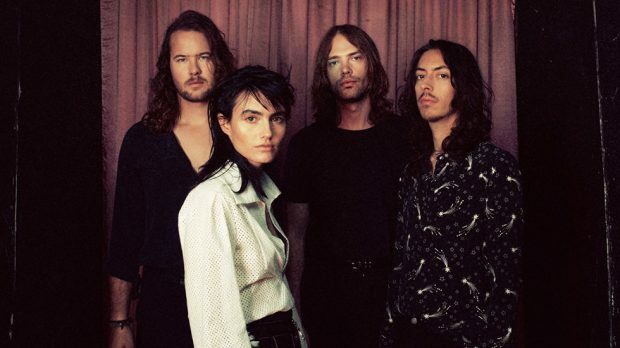 The Preatures have certainly been back and forth to WA a few times recently, memorably taking on the Divinyls back catalogue during Perth Fashion Festival last year, and now they are returning to co-headline the Reverb Festival’s huge Friday night line up this weekend. KIERRA POLLOCK chatted to bassist Thomas Champion about the impact of Yanada, the success of latest album Girlhood a year on, and what the rest of the year has in store for the band. You guys were recently in WA for Castaway Festival, and now you’re back for Reverb, how are you looking forward this show? Really good! We love coming over to WA, it’s not always the easiest thing to do, it is far away for us, being a Sydney band, but we had Castaway Festival, Reverb this weekend and then we are coming back over in a few weeks for Harry Styles as well, so we’ve had lots of time to catch up with our Perth friends. The band is quite open about their support of women in the industry and are quite active in aiming for equality, the Reverb Friday line up see’s every band feature women, what does this mean to the band? Well they are all friends of ours. We know Joe Jackson (Sloan Peterson) quite well, Jack’s worked with her on some of her work, we are quite close with Cloud Control and I know Hayley from The Jezabels. It’s something that’s quite encouraging to see that people are putting that at the front of their set of goals when they set out to book a festival like that. It’s great for us, cause we’re all friends, but it’s also a really exciting thing to see that its finally becoming one of the most important factors of having a festival. Yanada had such a big, positive impact, it’s such an important track, did you expect this kind of reaction to the track? We knew that it was going to be, not newsworthy, but we knew it was going to open up a conversation, which is a lot of what Izzi wanted out of it, was to start a conversation, so we expected that was going to happen. It wasn’t because we were trying to make headlines or anything, it was more of a creative thing, and wanting to be able to have that conversation or at least start it. It has taken some time to get through, but now we are starting to see at gigs – it was released a year ago – we are starting to see people singing along to every word, which is really heart warming. Because all those people out in the audience are singing in an Indigenous language, which is not something that is taught in schools, but it should be. As Australians we all should know these things because it’s a part of our history. Izzi and Jack joined Divinyls for the 30 Years of Wheels and Dollbaby show at Perth Fashion Festival last year, is it likely that we’ll see them team up again? I doubt you’d see anything like that again, no. It was a nice thing to do, for Izzi and Jack to be involved in. We worked with Mark McEntee before. He came on stage and we played a Divinyls song for Beat The Drum, the thirtieth anniversary of triple j, so it wasn’t completely out of the blue, but it wouldn’t happen again. Have The Divinyls been a big influence on The Preatures? Oh definitely. They are one of Australia’s premier rock and roll bands. I think for Izzi, the Chrissy Amphlett influence is huge, such an amazing performer that she is, an amazing songwriter and lyricist, you can’t not be influenced by them. I don’t know that many other Australian bands at the moment are picking up the sort of Aussie rock heritage thing. They are bands that mums and dads listen to. They are important to us, as Australian musicians, we are sort of acknowledging our heritage. Are there any plans for a new album following the success of Girlhood? Yeah, we are currently in the studio just writing. We started a month or two ago. We are just chipping away. We don’t have any solid idea of what it’s going to look like at the moment, we are just putting new material down. How are you guys feeling about Girlhood now in hindsight? We feel really good about it. A lot of people are sort of getting back to us now telling us how much they like it and how much it means to them. It’s not an instantly accessible album, I think it’s a bit of a slow burner, in our minds, but it’s really nice that people are still connecting with it. It seems like every day that goes past someone else pops up and says “Hey man, I’ve been listening to your album a lot, I really like it,” it’s really nice. It’s not just one big wave when you release it and then everyone forgets about it, it seems like more and more people are learning about it daily. You guys have been quite busy already this year, what does the rest of 2018 hold for The Preatures? Well we’ve got some things coming up that are soon to be announced that I can’t really say at the moment, but there will be a lot more of The Preatures across Australia this year. The Preatures play Reverb Festival, Friday, April 13, GO Edwards Park.